Need a last-minute gift, or something to take to a holiday party this week? This is simply brilliant. 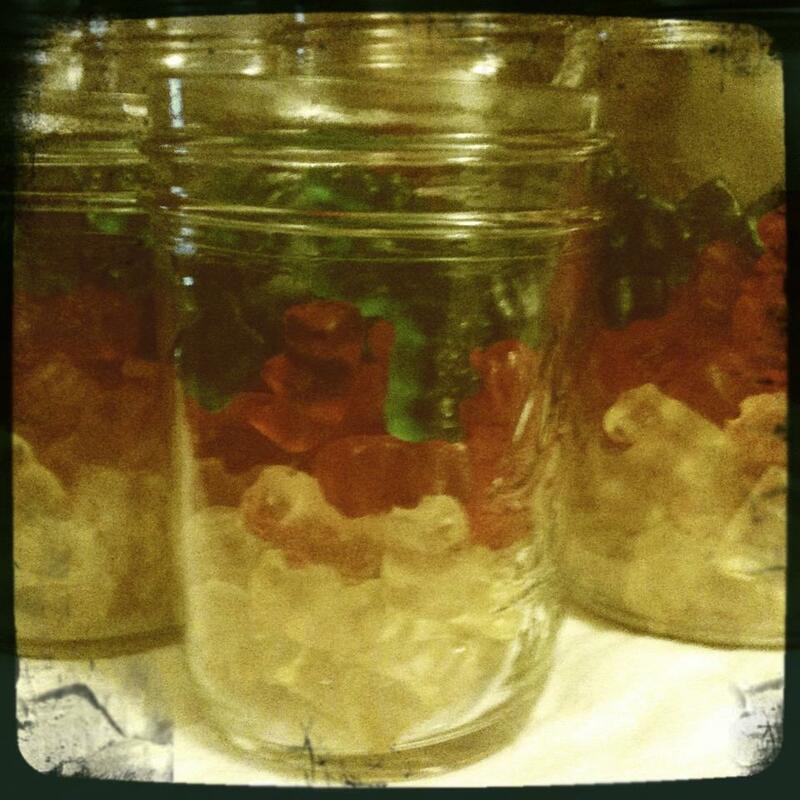 Step One: Put gummi bears in a jar. I separated them by color but obviously that’s not a requirement. Step Two: Fill the jar with vodka. 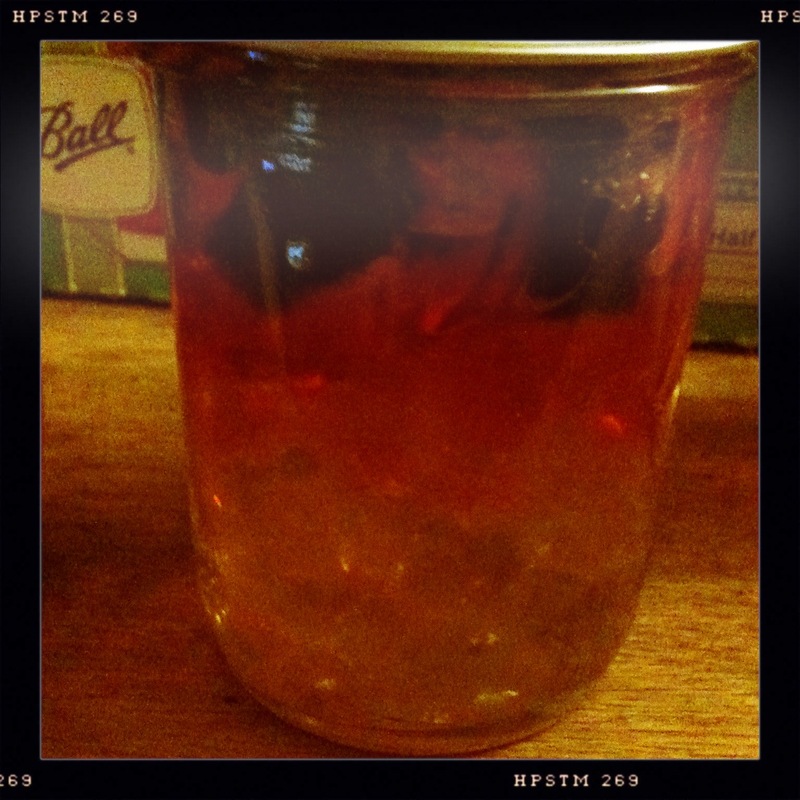 Step Three: Wait a while … maybe a day or so … until they plump up full of liquor. Viola! 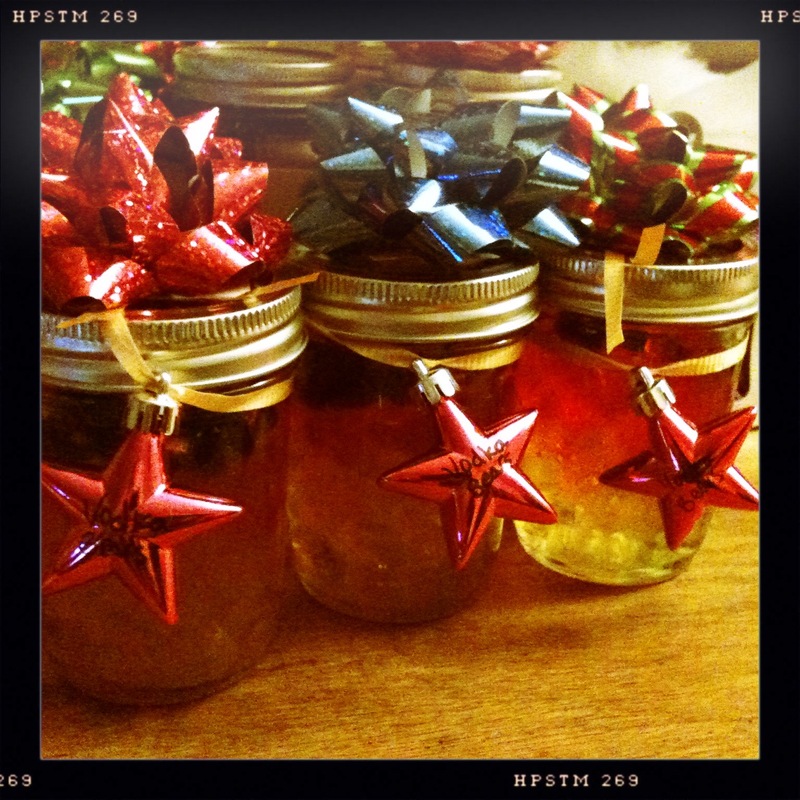 Decorate and give as a thoughtful yet drunk gift. This entry was posted in food, holidays, Uncategorized and tagged candy, food in jars, vodka-soaked gummi bears. Bookmark the permalink. cool idea :). do they melt and become a vodka jelly or do they keep the shape? Actually they don’t need refrigeration. But thanks!